It’s no surprise that an apartment block can be a breeding ground for neighbourly tensions. When you have a diverse bunch of people living under one roof, the age, background or cultural differences can cause tension and result in tempers flaring. So how can you, as a flat owner or resident, deal with disputes? And what can block management companies do to help maintain a harmonious living environment? At PBM, our mission is to support happy homes and we have years of experience in mediation and dispute resolution. So here’s our guide to managing neighbourly niggles. Why do neighbour disputes happen? In an apartment block full of different people, living different lives on conflicting timetables, someone is going to get upset about the behaviour of his or her neighbours sooner or later. The twenty-something who comes home late may inadvertently be waking their older downstairs neighbour. And the family with young children may bring an unwelcome alarm call to the night owl in the flat above. In a home environment, even the seemingly small things can affect us much more than they would at work or outdoors. That annoying beep, those unsavoury cooking smells, the bins being in the wrong place. When someone else’s routine rudely interrupts your peace and quiet day in day out, it’s difficult not to let the frustration build to boiling point. Often, when disputes are investigated, the issue in question is just the latest in a long line of small gripes that have resulted in negative feelings about the neighbour. It’s the final straw. How can I avoid niggles with neighbours? The truth is that you can’t take responsibility for how other people behave. And disputes will happen. However, you can take some positive steps to try and head any potential issues off at the pass. Noise is the top cause of disputes between flat residents. So, if you live in the block yourself, try and lead by example and keep your noise levels down wherever possible. For example, think about your choice of flooring (wooden, laminate or tiled floors are much noisier than carpeted ones). Think about whether your dining chairs scrape on the floor, or whether you can do anything to stop your doors from banging. And, don’t forget to tell your neighbours if you’re having a party or planning some noisy decoration work. Our advice is always to check the terms of your lease too, to see what is allowed (and importantly what isn’t) with things like decoration, pets, noise, parking or similar day to day issues that commonly cause neighbourly upset. For landlords and tenants alike, good communication is often the key to avoiding dispute. Talk to the other residents. Get to know them if you can. Being on friendly terms with your neighbours will definitely help to reduce the likelihood of things turning sour. If your block has a Residents’ Association it’s worth getting involved with that too, because it will help you to feel part of the community, keep you involved with decisions that affect the running of the building and often help you to deal with any niggles in a friendly way. If there isn’t an Association, why not start one? I’m a tenant with a problem neighbour. What can I do? Firstly, before you do anything, be clear about exactly what’s bugging you and check the terms of your lease to see if your neighbour is in breach in any way. Also, be realistic and fair about the outcome you’re expecting. You might want things done in a certain way, but is it realistic to expect that of someone else? Chances are that the person in question probably doesn’t realise they’re causing offence, so a calm face to face chat might be enough to put an end to the matter. However, only try this if you think it is safe to raise the matter in person. 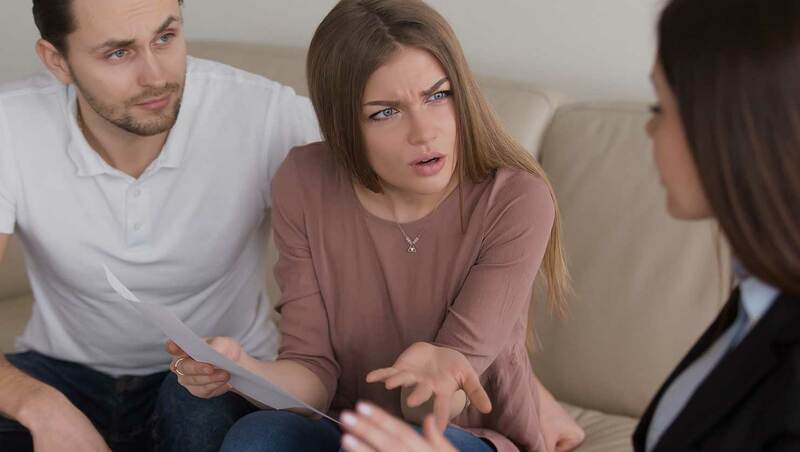 If you have voiced your concerns a couple of times and the issue is ignored, or you’re faced with an uncooperative soul, then your next port of call should be your property management company. A good property manager should do everything they can to make sure the apartment block is a pleasant place to live. So they should offer to take up your concerns directly with the offender, and often a well-timed, well-constructed letter will put a stop to the issue. Getting the help of your property manager also takes the personal element out of the dispute, so you can potentially get your problem resolved without your neighbour ever needing to know that it was you who made the complaint. If support of this kind is not available from the agent who manages your block, perhaps you might want to suggest a change of management to your freeholder! Hopefully your disputes won’t descend into fisticuffs, but if the offending behaviour doesn’t stop despite polite or formal requests, or there is any sign of aggressive behaviour, then there are other routes you can take to escalate your complaint. For unacceptable noise, you can contact your local authority. If the Environmental Health team believe there to be a noise issue they will issue a notice and can follow up with prosecution. It may help your case to keep a ‘noise diary’ detailing times/dates or try to record the noise on video, so you can share this with the authorities as necessary. You can even buy inexpensive decibel meters if you want to keep a more accurate record of the noise levels. The police are another option if you feel a criminal offence is being committed – for example, assault or harassment. Or if you genuinely feel that there is the likelihood of aggressive behaviour from the neighbour in question. If all else fails, it may be time to instruct a solicitor who can review the case for you. This isn’t a decision to be taken lightly though, due to the significant cost and emotional impact on those involved. In most cases, a little bit of care and consideration goes a long way to keep the peace between neighbours. The lease is there to protect everyone who owns a flat and/or is resident in your block because typically, it will contain specific restrictions and responsibilties for living there. However, you can always seek the support of your Residents Association (if you have one) and from your property manager. If in doubt, ask for help. If you’d like to find out more about how we manage the properties we look after take a look here. We’d be happy to offer you support and advice on this tricky area of block management.